Hi again ! I’m back for another article translation from chars-francais.net, today’s about the AMX-13 DCA canon de 40mm. For the eventual new readers, these articles are aiming to highlight some vehicles which aren’t covered by World of Tanks (yet), so in other words, vehicles that not everyone is aware of. Various studies were made as early as the 50’s in order to equip the French Army with self-propelled AA guns. 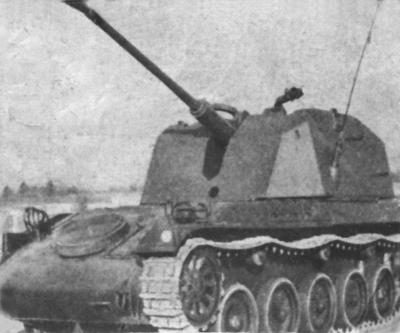 In 1956, the chassis of the AMX-13 and EBR were used to create prototypes with a turret hosting a Bofors 40mm L/70 gun. 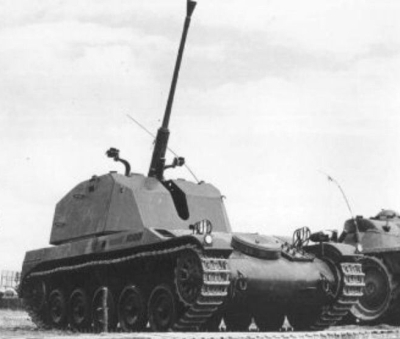 With the SAMM S 980 turret studies being abandoned in 1957, as well as the 40mm L/70 gun’s production in 1958, the self-propelled project stopped there. 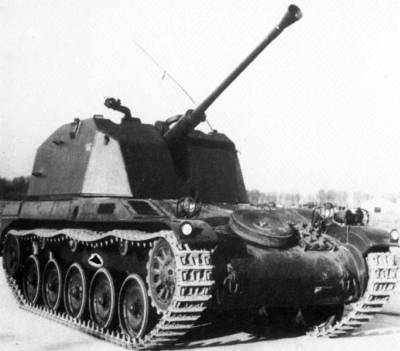 As a result, the first and only armoured French-manufactured self-propelled AA gun didn’t appear before 1966, still on an AMX-13 chassis, but with dual 30mm guns & SAMM S401 turret. Tier V light tank/TD hybrid with standard MM? It could work on tier IV but it would be better on V(better camo/speed/agility) IMO. I would say more tier IV, given the gun’s penetration. I love tanks like the FT AC. That thing had a badass autoloader.